Lift, hydrate, and rejuvenate skin’s appearance with a concentrated serum of the Celavive® Cell Signaling Complex and some of nature’s best botanicals. 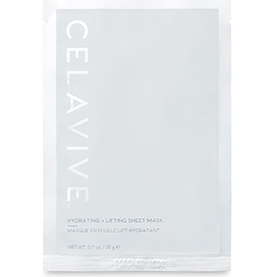 Get glowing in only 20 minutes with Celavive® Hydrating + Lifting Sheet Mask. Infused with USANA InCelligence Technology™, this replenishing facial treatment will help reveal more radiant, youthful-looking skin in just one application. After you remove your Hydrating + Lifting Sheet Mask, massage the remaining serum into your skin. The active ingredients will keep working to help reveal your youthful radiance. The powerful peptides and potent botanicals combine innovative science with some of the most popular ingredients in Korean and Japanese skincare. Hydrating + Lifting Sheet Mask can be used with either the oily/combination or dry/sensitive Celavive regimen. And you can feel good knowing that each cotton mask is saturated with a serum made without parabens or alcohol. You have a new secret weapon in your fight to reduce the visible signs of aging—the Celavive Hydrating + Lifting Sheet Mask. Each sheet delivers an intense boost of the Celavive® Cell Signaling Complex. And the ratio of ingredients in the complex have been adjusted to deliver more noticeable results. Palmitoyl Tripeptide-38 supports natural processes in your skin cells that will help give your skin a firmer look. You will notice that skin looks tighter. And the appearance of crow’s feet and forehead lines will be diminished. You will also feel a tightening effect thanks to an ingredient in the sheet mask called pullulan. It’s a natural, water-soluble polysaccharide (sugar) produced by fermenting Aureobasidium pullulans—a black, yeast-like fungus. (That may sound scary, but it’s totally not.) The pullulan helps form a thin layer of serum. This allows the active ingredients to work on the epidermis, so skin appears supple and smooth when the hydrating mask is removed. Reveal your skin’s natural radiance as you replenish your complexion with the botanical extracts in Celavive Hydrating + Lifting Sheet Mask. Many of the extracts will help revive your appearance. And they are gentle on your skin. The following extracts are blended with two ingredients that help trap moisture in the skin (1,2 Hexanediol and butylene glycol). By combining these plant extracts with moisture, you will get a boost in hydration. 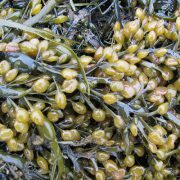 Brown algae (Ascophyllum nodosum), or knotted wrack, is a nutrient-rich seaweed found along the coasts of the northern Atlantic Ocean. It restores your radiance with minerals and antioxidants. It can also help your skin naturally detoxify as it nourishes for a healthy appearance. 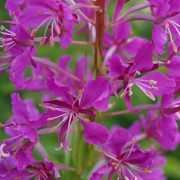 Fireweed extract (Epilobium angustifolium) comes from the flowers, leaves, and stems of the Rose Bay (an herb plant). It brightens your complexion as it balances hydration. And the polyphenols (a type of antioxidant) from this extract may help minimize the visible effects of stress. 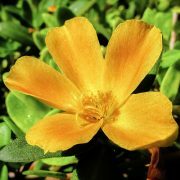 Purslane (Portulaca oleracea) calms as it delivers nutrients, fatty acids, and antioxidants, including vitamins C and E. The antioxidants help protect skin from oxidative damage, helping to preserve a firmer look. In addition to the nourishing extracts, skin conditioners in Hydrating + Lifting Sheet Mask also moisturize to help skin look plumper. This includes sodium hyaluronate—the salt form of hyaluronic acid. Cyclopentasiloxane and cyclohexasiloxane are also conditioning agents. 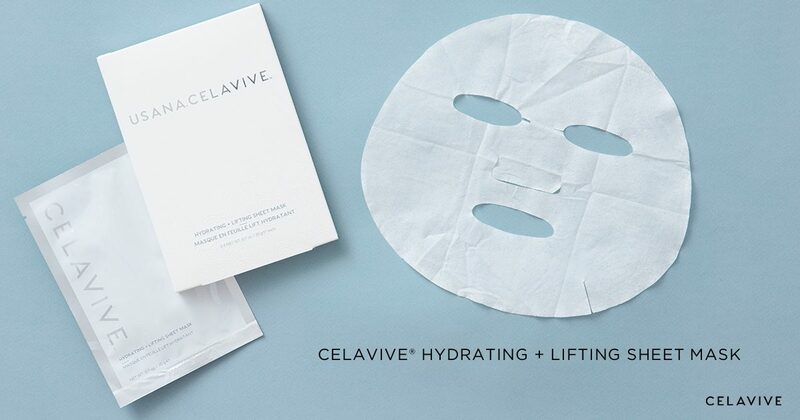 The Celavive Hydrating + Lifting Sheet Mask is packed with multitasking skincare ingredients. These botanical extracts offer a multitude of benefits for your complexion. Japanese honeysuckle (Lonicera japonica) imparts a light fragrance as it soothes and conditions the skin for a smooth, hydrated appearance. Japanese pepper (Zanthoxylum piperitum) energizes skin and provides protective antioxidant activity for a healthy complexion. Grapefruit (Citrus paradisi) contains vitamin C and is rich in phenolic compounds (chemicals that come from plants), including gallic acid. Vitamin C and gallic acid both offer antioxidant activity to promote an even, bright appearance. The fragrant extract of Chinese star anise (Illicium verum) protects your natural radiance with antioxidants that help neutralize free radical damage. Baikal skullcap (Scutellaria baicalensis) is a soothing, purifying herb. It helps defend against oxidative stress and preserve the appearance of an even skin tone. It also supports a healthy skin barrier for a more youthful look. None! Please ask your question below. 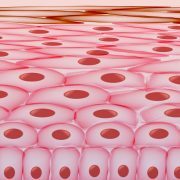 Follow your skin cells through their life. 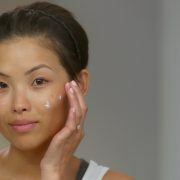 And use your understanding of the lifespan of skin cells to better care for your skin.